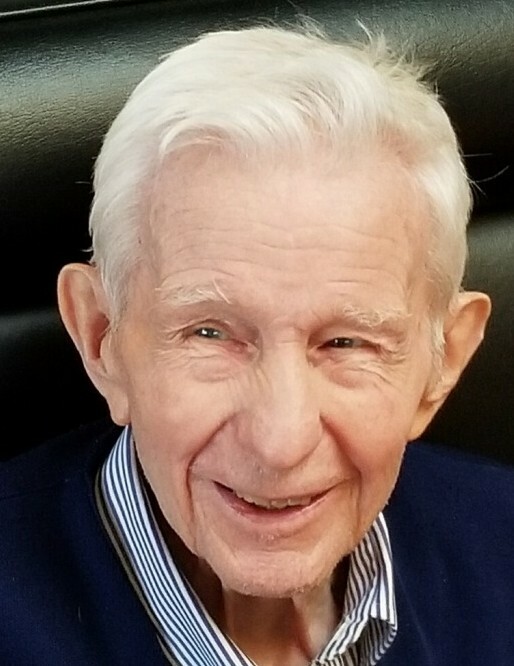 Roy E. Hoyle, 94, of Greensburg, died Sunday, April 7, 2019, at his residence, Grace Manor North Park. He was born March 17, 1925, in Greensburg, a son of the late Harold and Grace Repp Hoyle. Roy will be remembered as the "original tailgater" and ultimate entertainer. He was proud of his wine-making abilities and loved sharing the fruits of his labor. Roy enjoyed being in the outdoors and especially loved gardening and a good round of golf. He was a member of First Reformed United Church of Christ. After retiring from Elliott Co. at 55, with 30 years of service, Roy went on to continue working as secondary plant operations and improvements manager for Classics Industry in Latrobe until the age of 90. Roy also served during World War II with the Marine Corps. In addition to his parents, he was preceded in death by his wife, Julia Raimondo Hoyle; and three siblings, William Hoyle, Nancy Veitch and Donald Hoyle. He is survived by his three children, Kathy Belcastro (Larry), of Pittsburgh, Linda Zsolcsak (Joe), of New Kensington, and Tim Hoyle (Mary Jo), of W.Va.; eight grandchildren; five great-grandchildren; his sister, JoAnn Arena, of Greensburg; and numerous nieces and nephews. Relatives and friends are invited to celebrate "a life well lived" of Roy, from 4 to 8 p.m. Tuesday in the CLEMENT L. PANTALONE FUNERAL HOME INC., 409 W. Pittsburgh St., Greensburg, PA 15601, 724-837-0020. A funeral service will be held at 1 p.m. Wednesday in the funeral home, with the Rev. Steven L. Craft officiating. Entombment will follow in Greensburg Catholic Cemetery Mausoleum. In lieu of flowers, memorial donations may be made to Clelian Heights School, 135 Clelian Heights Lane, Greensburg, PA 15601. Roy's family has entrusted his care to the Pantalone Funeral Home Inc., Greensburg. To share your memories and photos, offer your condolences, or for directions, please visit us at www.pantalone.com, Natale N. Pantalone, supervisor.